“Gifting” experiences are one of the hottest new trends in this age of minimalism, so if you are looking for an awesome gift that will be unforgettable (and undoubtedly the best gift in the pile), a long weekend trip with friends or family is an amazing gesture. Whether it’s for birthdays, graduations, weddings, anniversaries, or other special occasions, giving someone a long weekend away can change their world. 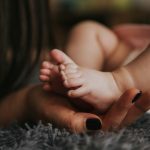 It opens their eyes to things they would not have otherwise experienced, invites the world into their hearts, and will create memories that will last a lifetime. There is no better gift than the gift of experience, and Whistler, British Columbia is a great place to start. Whistler, British Columbia is a resort hot spot in the Pacific Northwest. 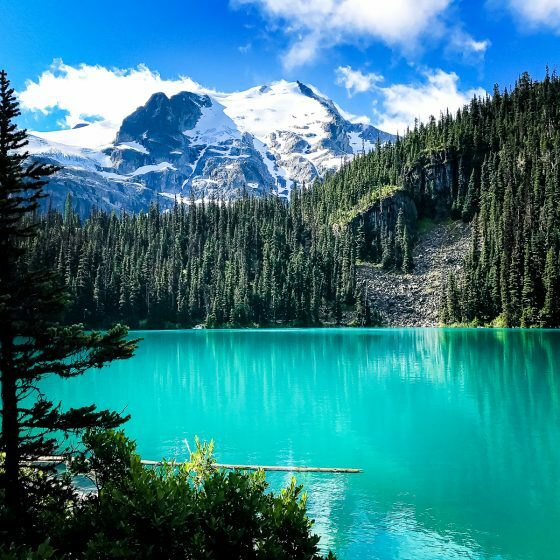 Located in the Coast Mountains about two hours from Vancouver, British Columbia, Whistler is know for being one of the top mountainous resorts in North America. 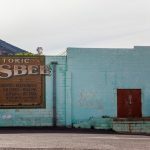 In the winter time you will see snow lovers heading up the mountain to secure their favorite place on the slopes for skiing, snowboarding, and bobsledding. 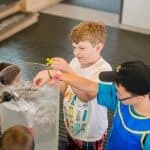 In the summer, you will find the outdoorsy-types exploring the unique terrain while hiking, fishing, golfing, rock climbing, white water rafting, and biking on their top rated mountain bike park. And during every season, you will can find local festivals in arts, food, and sports along with amazing restaurants, relaxing spas, and generous bars and cafes. 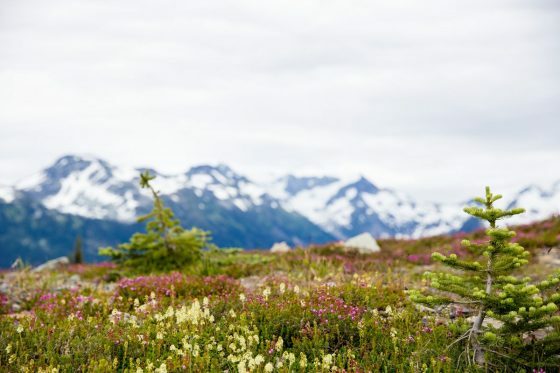 Whistler truly has something for everyone, especially those who love the outdoors. 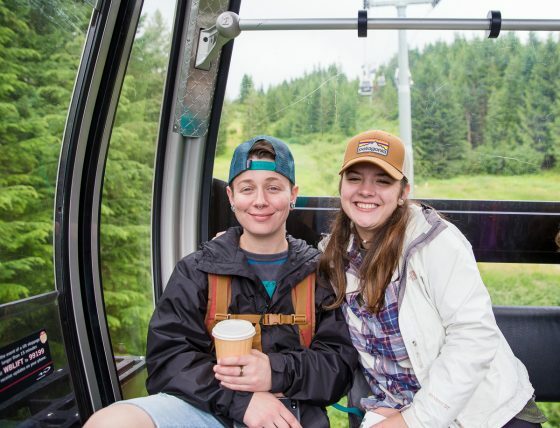 If there is someone in your life who is celebrating a big accomplishment or event, the gift of a long weekend to Whistler will be something they will never forget. 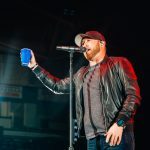 A gift like this is perfect for a graduation, big birthday, or an anniversary either as a solo gift or something you combine with other loved ones. 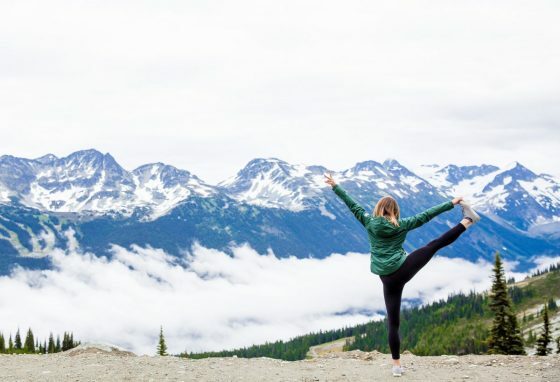 There are plenty of activities to do while in Whistler, so finding an additional activity to add on to their itinerary is the perfect complement to an already amazing gift. Below is an itinerary to help you get started in planning the perfect gift for your loved one. Earls Whistler– Earl’s Whistler is a well-know spot in the Whistler Village. Canadians love it for it’s delicious food and generous happy hour. Earl’s Whistler has something for everyone: even those who are vegetarian or who need a gluten-free option. 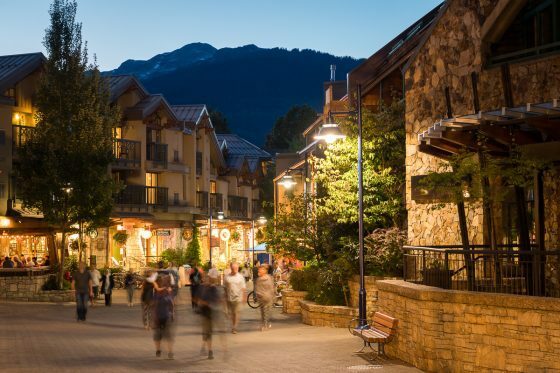 Shopping in Whistler Village– No vacation is complete without doing a little shopping in the local stores. Give your gift recipient a little spending cash, or at least a list of the best artisan shops in Whistler Village to get souvenirs or unique items to commemorate their trip. Araxi Restaurant + Bar– Round off the first night with a delicious dinner at Araxi Restaurant + Bar. This local favorite is known for it’s cuisine made from local and sustainable ingredients, as well as their extensive wine list. After a long day of traveling, shopping, and filling stomachs with delicious food, you will want your gift recipient to settle down in the comfort of a resort style hotel that features spacious rooms and fireplaces to cozy up- even in the summer! Read more about the Whistler Peak Lodge below. The second day in Whistler should be one in which you truly experience all that this area has to offer. If your gift is being given to someone who loves the outdoors, these activities will be perfect for their adventurous hearts. Wild Wood Bistro and Bar- As a new restaurant in Whistler, British Columbia, Wild Wood Bistro and Bar is already gaining a reputation as a favorite. Using Pacific Northwest dishes and using local ingredients, this cafe and restaurant offer a unique twist on classic dishes. Their seafood is known to be top notch, and should be something every visitor tries while in town. 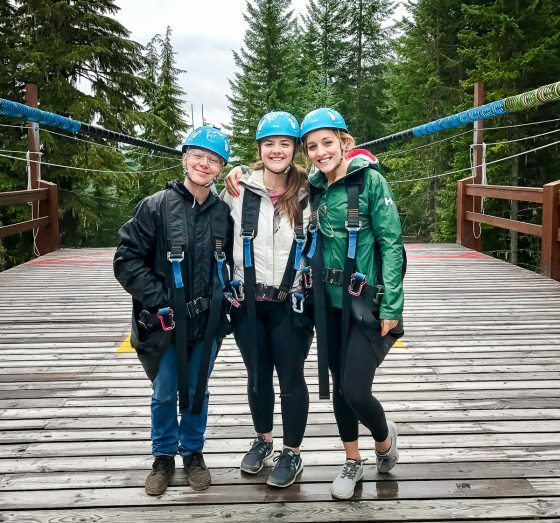 Superfly Zipline- Team up with TAG Whistler for all your outdoor experience needs, including zip lining at Superfly Zipline. Superfly Zipline takes you over Cougar Mountain, with their zip-lines connected to each other by a network of trails and boardwalks. Their unique system allows two people to ride the lines side by side rather than one at a time. Together, riders will be able to get the greatest view of Cougar Mountain and the beautiful terrain that surrounds Whistler. 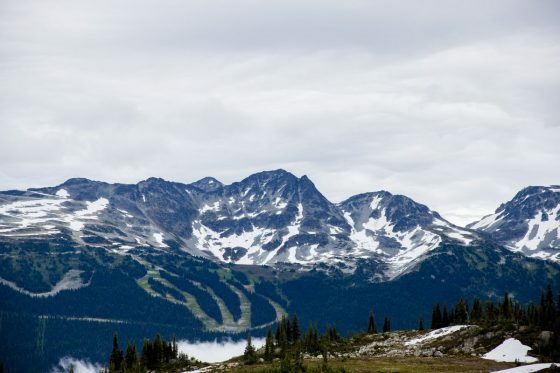 And if you’re looking for other outdoor excursions, hit up TAG Whistler for activities such as snowshoeing, white water rafting, or snowmobiling. Peak 2 Peak Gondola- If your gift recipient’s spirit animal is a bird, they will love going up high in the sky again in Whistler on the Peak 2 Peak Gondola. 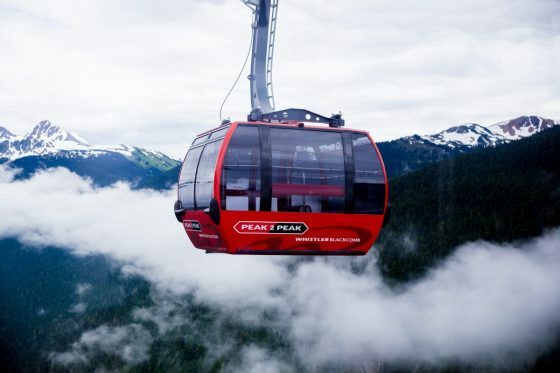 This high flying ride connects Blackcomb Mountain and Whistler, giving amazing views while traversing over the terrain. No matter which season plan the visit, they will find amazing things to do on Blackcomb. 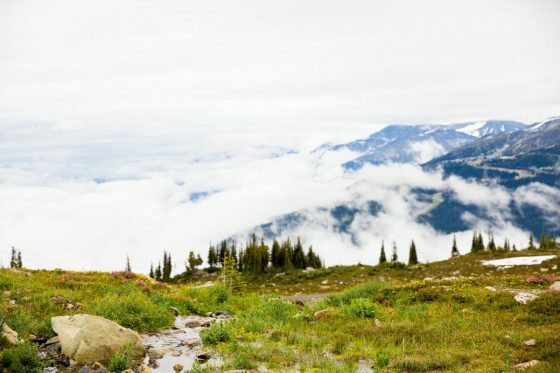 During the summer months, Whistler Blackcomb offers exciting outdoor adventures on the mountain. They can do high alpine hiking and sightseeing by taking the Peak Chair. If mountain biking is their thing, there is the number one rated mountain bike park that is only accessed by lift. If they come early enough in the summer, they can enjoy summer skiing and snowboarding on Backcomb’s Horstman Glacier. They may even be able to see the famous Snow Walls above Pika’s Travese on Whistler Mountain. These Snow Walls are carved from the abundance of snow offering a unique view and route for those who take the Peak 2 Peak Gondola. Mountaintop Summer Feast- One of Whistler’s main attractions is their annual festivals. Food, sports, arts, and more are celebrated in a special way each season. The Mountaintop Summer Feast is a festival centered around one of the best parts of vacation: food. 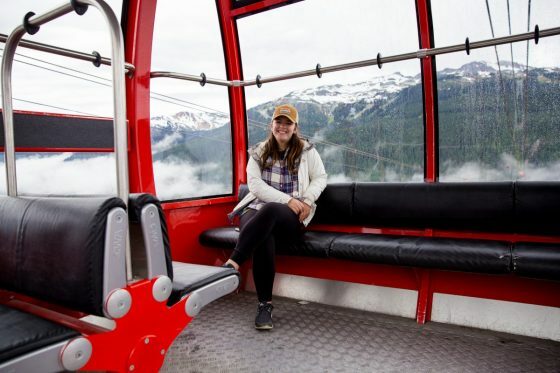 This festival is just a short ride up the Whistler Village Gondola on Whistler Mountain where they can enjoy main dishes with a Pacific Northwest feel, salads, and desserts at up to 6,000 feet above the ground. After a day high above the ground, they may want to spend some time with your feet planted. Take the evening to relax in Whistler Peak Lodge’s hot tub or sit out on the balcony of the suite to enjoy the soothing noises of the great outdoors. Read more about the Whistler Peak Lodge below. The final day of your gift experience should include some time to relax. Whistler is known for it’s amazing spas and wellness centers, allowing guests to take in the peace that surrounds the busy resort mountain. 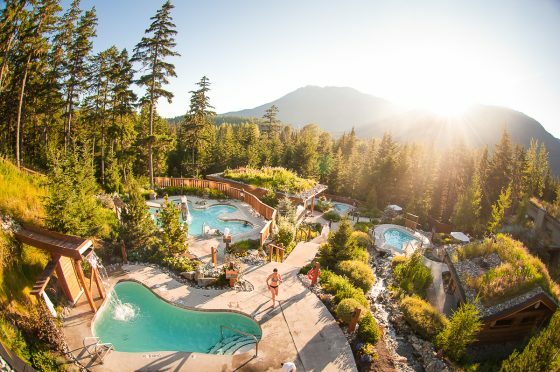 There are several high quality spas in and around Whistler Village to take advantage of for your last day, so you will be sure to find exactly what you’re looking for in terms of services. Crepe Montange- Start the day off with a French Canadian classic- delicious crepes at Crepe Montange. Whistler attracts people from all over the world, and Crepe Montange has adjusted it’s creperie menu to fit the taste buds of all their guests. Have your gift recipient enjoy classic crepes or more savory options for the last breakfast on the mountain so they are able the faire that international community of Whistler is able to offer. Scandiniave Spa Baths- After all the adventures of the outdoors at Whistler, a nice, relaxing afternoon at the spa will be the cherry on top of an amazing gifted weekend experience. The Scandinave Spa Baths in Whistler is a Nordic-inspired outdoor day spa that will give your the absolute relaxation you need. The spa itself is set within a cedar and spruce forest, and requires absolute silence while on the grounds so as to ensure that guests are able to enjoy the full experience. After a few days on the mountain there is no doubt that your body will be sore, so the Hot/Cold/Relax cycle, approximately two hours long, will help to eliminate toxins from your body and improve circulation. The hot cycles take place in eucalyptus steam rooms, outdoor hot baths, Finnish wood-burning sauna or dry sauna. The cold cycles, although a shock to your system, are a necessary step and are completed in refreshing Nordic waterfalls, rain showers, and cold plunges. 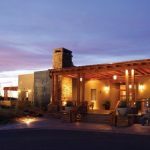 The last stage- relaxation- offers the choice of lounging peacefully in your robe beside an outdoor firepit, in one of the solariums, in a quiet room in front of the fireplace, or in the fully-stocked multi-purpose yoga studio. There is no doubt that after your experience you will be fully relaxed. Have your gift recipient spend their last moments in Whistler taking in Whistler Village. Shops, restaurants, cafes, and bars are plenty in this mountainous resort town. You will be able to find artisan crafts, unique gifts, and amazing eats in this area of the mountain which will help to bring their long weekend vacation to a wonderful conclusion. 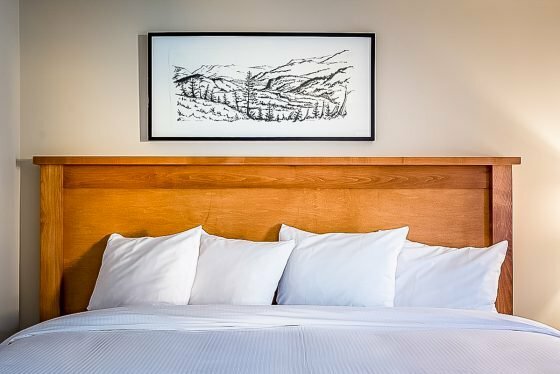 Cap off the evening at the Whistler Peak Lodge, enjoying a coffee and pastries from a local cafe while you look over the mountain sunset or cozy up to a fire. Read more about Whistler Peak Lodge below. Whistler Peak Lodge is located at the center of Whistler Village, giving guests complete access to all that the mountain resort has to offer. 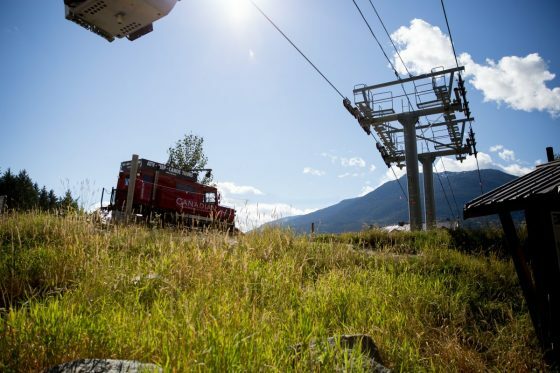 With only 350 steps needed to the Whistler Village Gondola, guests will be able to get to skiing, snowboarding, or hiking in a matter of minutes. Shopping, restaurants, cafes, and bars are only a few steps outside the door, making it a perfect spot for a stay during a gift experience vacation since the gift recipient will have everything at his or her doorstep- quite literally! 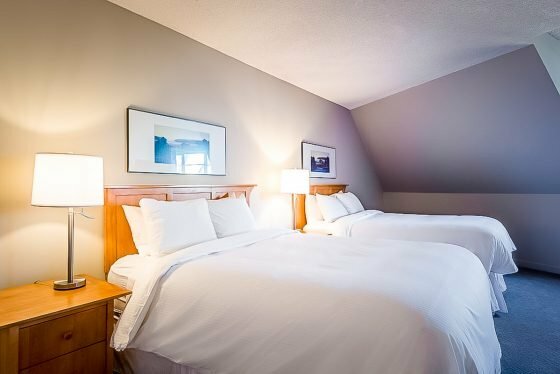 Suites within the Whistler Peak Lodge are a combination of both resort style and homely. Each suite offers a kitchenette making you feel right at home during each guest’s stay. A fireplace or a balcony is available in each room, too, allowing guests the ability to completely surround yourself in the mountain experience during the stay. After a couple exhausting days playing in Whistler, guests are able to treat themselves to a dip in the hot tub or to work out some sore muscles with a quick workout in the fitness center. The friendly staff is available to greet you no matter the time of day (or night) giving guests the security that they will be taken care of during their stay. 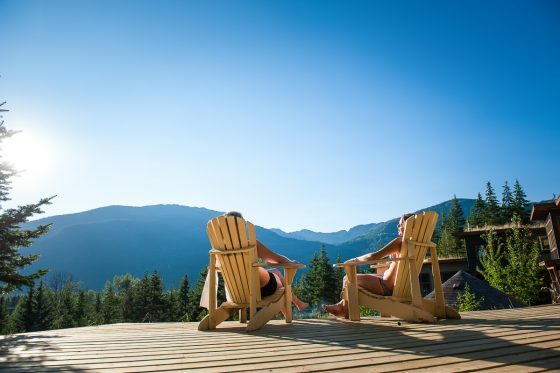 The Whistler Peak Lodge is a great complement to an already amazing gift of a vacation experience in Whistler. 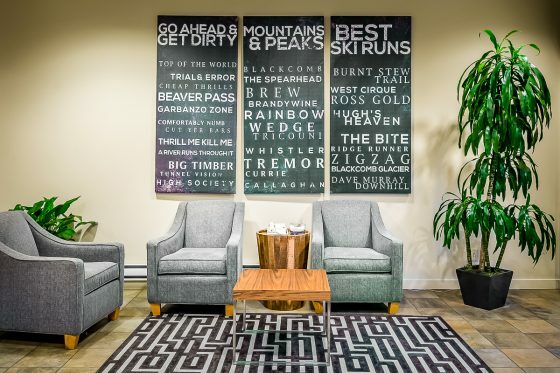 Its central location makes it easy to reach all the amazing spots in Whistler and it’s homey feel allows guests to completely relax and feel comfortable during their stay. 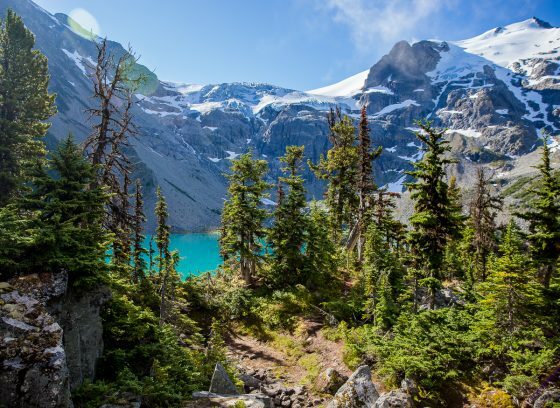 Looking for a perfect day trip to extend your long weekend in Whistler? 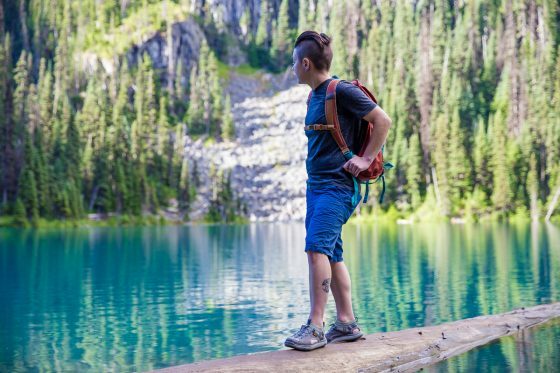 Joffre Lakes makes the perfect day trip. 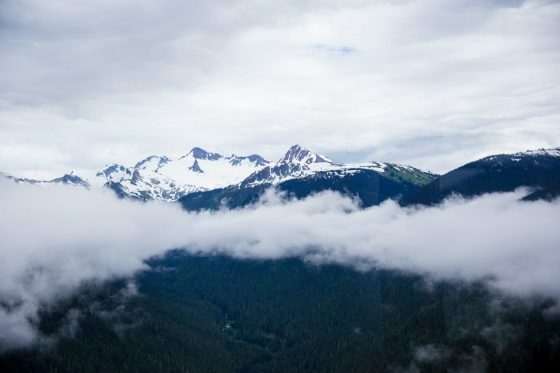 This moderate hike is only a 40 minute drive from Whistler and will envelop you with gorgeous views and a once in a lifetime experience. One thing is for certain- in this day and age finding gifts for people is getting more and more difficult. People can buy themselves things with a simple click of a button and have it arrive on their doorstep two days later. 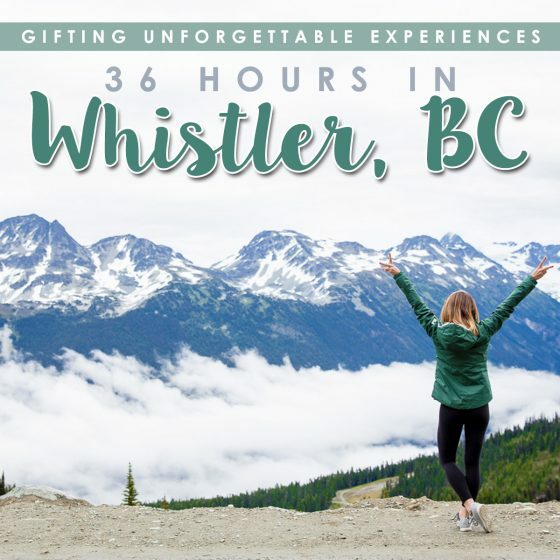 However, the gift of an experience, such as a long weekend to Whistler, British Columbia, is something that your loved one will never forget. An experience means so much more than a material gift, and the ability to travel is one thing that many people don’t take advantage of when they can. Nothing can compare to the gift of an travel experience, where one’s eyes and mind are opened to the beauty of what the world has to offer. Whether this is a gift given by several people or a gift given just by you, the outcome will be the same- the recipient will forever cherish the memories made during their experience. Looking for more quick vacations? 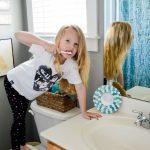 Check out “36 Hours in Seattle with the Edgewater Hotel” here on Daily Mom!